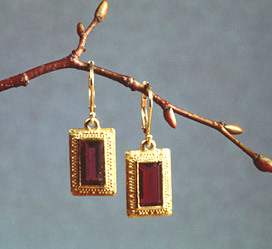 Fred de Vos has been teaching jewelry design for over 30 years. Predominantly self-taught, Fred began developing his technical skills as a small boy in his father’s machine shop in his native Holland. He attended technical schools in Holland and Canada before moving to New York City in the 1960s to study at the renowned Art Students League. Fred honed his fine skills as a studio assistant in the craft world; first to a sculptor, then a harpsichord maker, and eventually as a leather sandal maker, before discovering his true calling – jewelry making. During his initial effort to explore the craft of jewelry making Fred acquired a modest collection of tools, a week later he was selling his own designs. Fred’s work caught the attention of a leading jewelry designer Ed Wiener, who quickly hired him as an assistant. Fred stayed on for 18 years, but in the meantime he began to impart his unique talents to others by teaching at the Parsons School of Design. In 1994, Fred realized a longtime dream when he opened his own workshop and soon began attracting students from all walks of life.